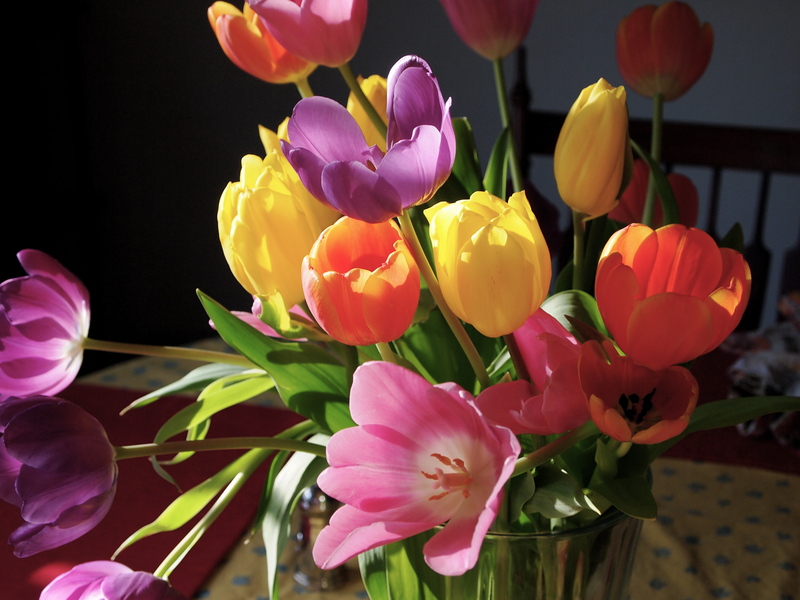 While my cute Mum was in town for Easter, she decided to brighten our Easter dinner table with these beautiful tulips. 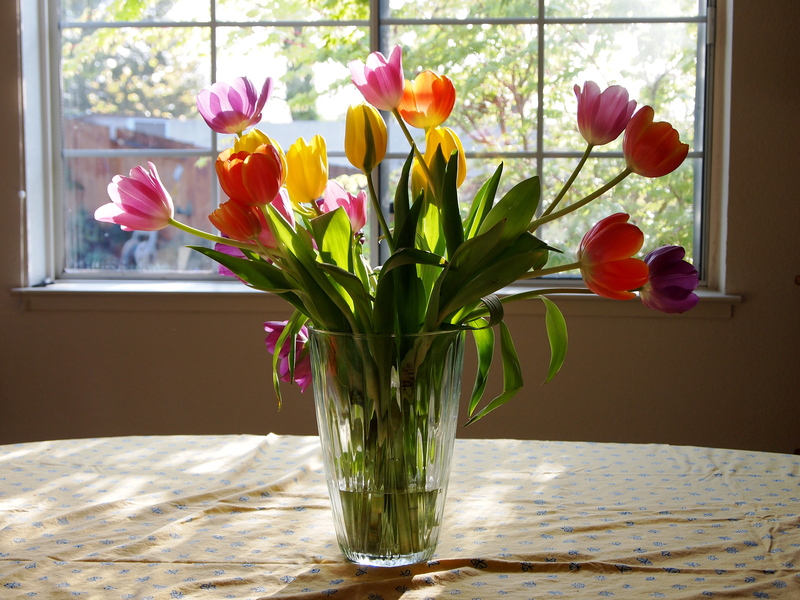 Now 3 days later, they are still lovely. 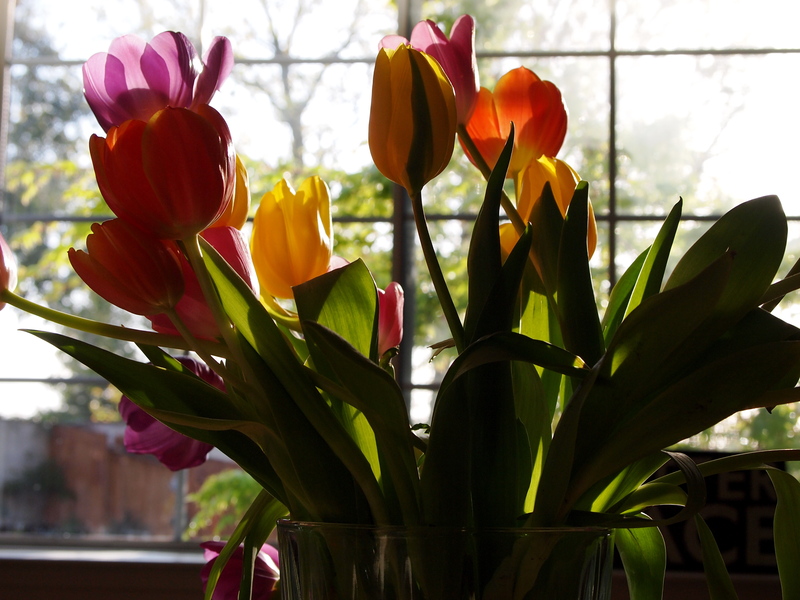 As I was feeding the kids their morning eggs, I noticed the light coming in behind the vase. I am merely an amateur when it comes to photography, but I do love taking pictures. In this moment, I just couldn’t resist. I even moved chairs and placements for one of them. So lovely. 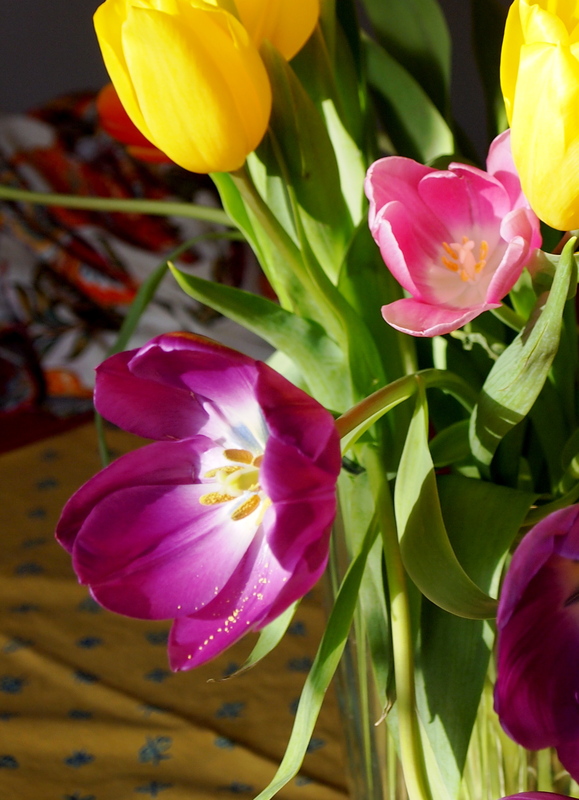 This entry was posted in Photography and tagged Easter, Just For Kicks, Photography, tulips. Bookmark the permalink.